Several times a year, a new PC-12, freshly painted blue and white, leaves the Pilatus factory and begins a multi-day trip to the PlaneSense, Inc. headquarters in Portsmouth, NH. The 65th PC-12 to join the PlaneSense® fleet recently embarked on its own journey to the U.S., following the track of many PC-12s that came before it. Ferry pilot Hans Lässer left Switzerland on a clear, late-summer morning, heading for his first stop in this familiar journey – Prestwick, Scotland. Glasgow Prestwick Airport proudly boasts the longest commercial runway in Scotland. Its key location and facilities allow it to accommodate commercial and military aircraft of all sizes. Prestwick Aviation Services is no stranger to the PC-12. The FBO welcomes approximately 150 Pilatus aircraft each year. They hail from all over the world, including the United States, Switzerland, United Kingdom, Isle of Man, France, and Germany. The FBO has shared a long and successful relationship with Pilatus, serving as a fuel stop location for transatlantic PC-12 deliveries for more than 24 years. 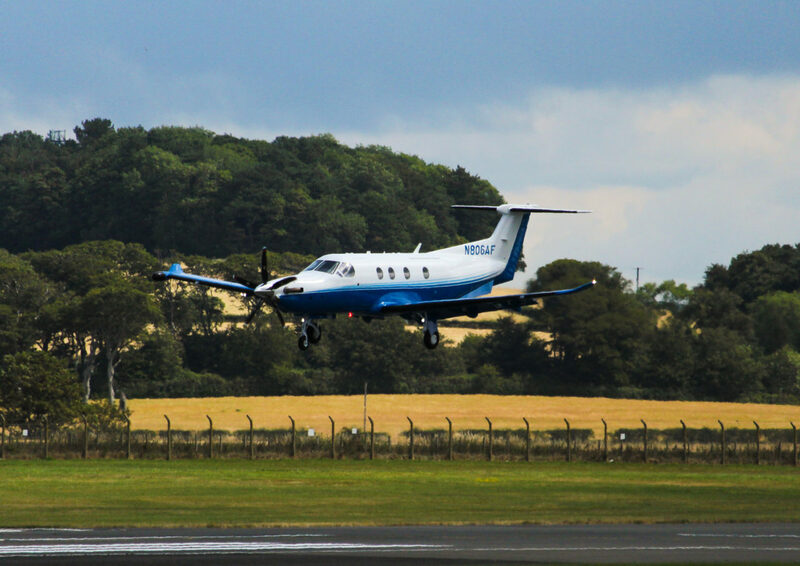 “The staff at Prestwick Aviation Services takes great pride in providing a very friendly Scottish welcome to all of its customers, along with a smooth, hassle-free, and highly professional service,” says Kris Baillie, Business Development Manager at Glasgow Prestwick Airport. Its long history with Pilatus earned Prestwick Aviation Services a role in the development of the Pilatus PC-24 jet. In March of 2016, the FBO served as a base of operation for Pilatus during the prototype PC-24 aircraft testing and development phase. Roughly 25 icing trial flights took place in and around Scottish airspace. The FBO provided a 24-hour facility for the Pilatus test engineers and flight crews, as well as hangar and ground services. This exposure gave the Prestwick Aviation Services staff the opportunity to familiarize themselves with the PC-24 aircraft. This preparation was fully appreciated on January 30, 2018 when the world’s first PC-24 jet made its first fuel stop at Prestwick en-route to the United States where it would soon join the PlaneSense fleet. Prestwick was the first stop for the world’s first PC-24 jet on its ferry flight to PlaneSense, where it would become N124AF. 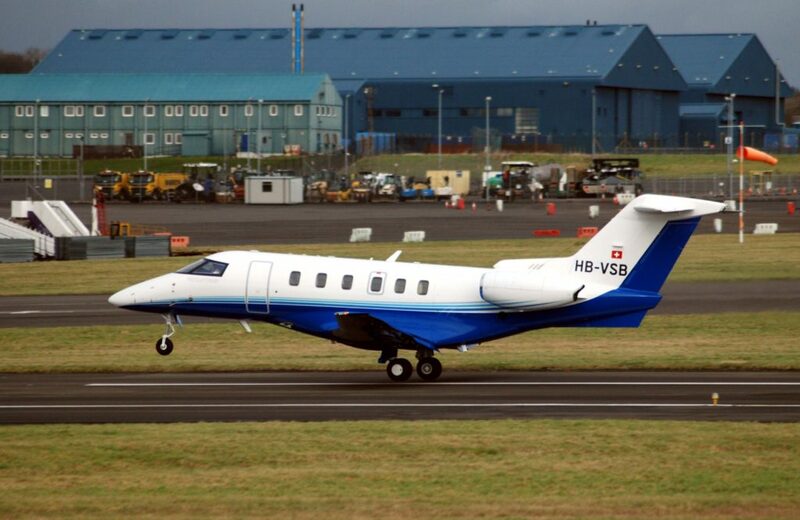 Like the PC-24 jet months before it, the 65th PlaneSense PC-12 would leave Prestwick and make its way to Reykjavik-Keflavik Airport in Iceland for the night. The next day, Lässer and the PC-12 were off to Narsarsuaq at the southern tip of Greenland to refuel and then to Goose Bay Airport in Labrador, Canada for the final fuel stop. When the winds cooperate, PC-12 ferry pilots are able to bypass Greenland and fly directly to Goose Bay. 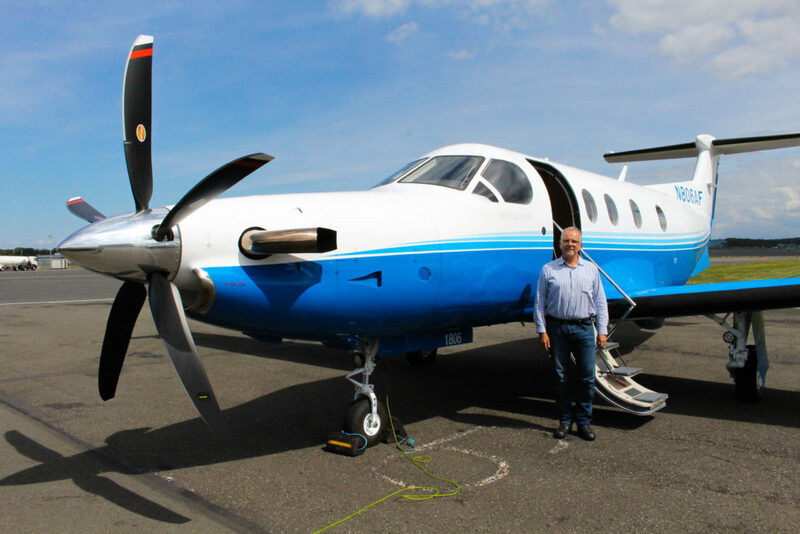 Ferry pilot, Hans Lasser with N860AF in Prestwick on the way to Portsmouth, NH in the U.S.
After flying across Maine, N806AF landed at Portsmouth International Airport (PSM) on Friday afternoon, just two days after departing Switzerland for its intercontinental journey. Following a quick stop at Customs, Lässer was greeted on the PlaneSense ramp by a number of staff, each shaking his hand and asking about his trip. The PlaneSense team then quickly began preparations to introduce N806AF to the fleet. Each PC-12 delivery is special for PlaneSense as it means we are welcoming new owners to the PlaneSense family. Our 66th PC-12, N835AF, made a similar journey later in the year. N860AF will make the trip in March 2019, soon taking new share owners on their own special journeys.